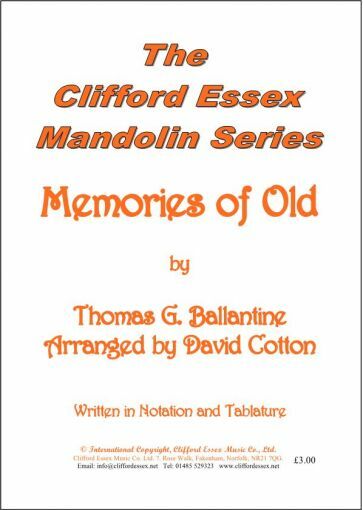 Location: /Sheet music/Mandolin Solos/MEMORIES OF OLD by G. BALLANTINE. 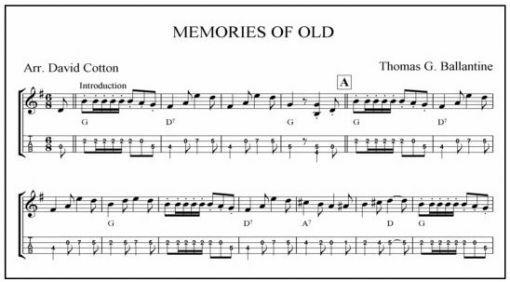 'Memories of Old' was first published in 1900 and described as a waltz, despite its 6/8 time signature. It's a simple and pretty tune by a composer about whom we know very little, other than that he wrote several mandolin tunes in the late 1890s, including "The Rena Waltz" and in 1893 he published a banjo tutor for 5, 6 and 7 stringed banjos.